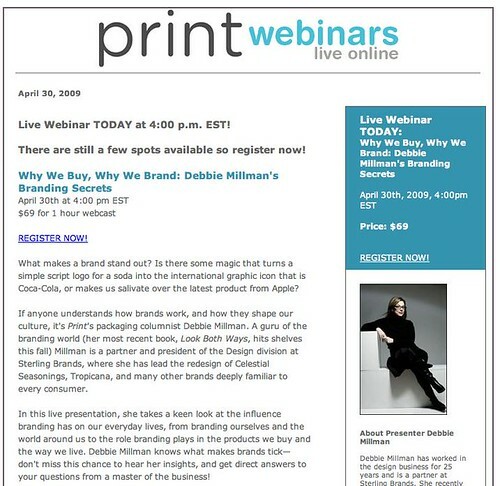 Why We Brand, Why We Buy PRINT Magazine Webinar Today! 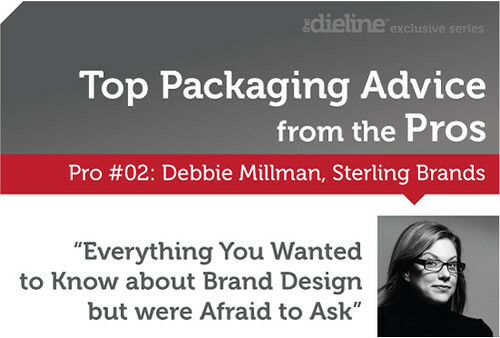 I am doing a Live Webinar TODAY with Print Magazine at 4:00 p.m. EST! It is titled Why We Buy, Why We Brand, and I hope you can join us. 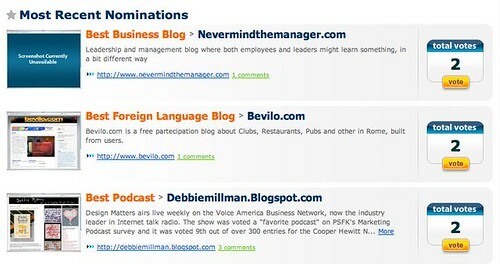 Design Matters nominated as BEST PODCAST in the 2009 Blogger's Choice Awards! I am very excited to announce that Design Matters was nominated as BEST PODCAST in the 2009 Blogger's Choice Awards! How exciting is that? According to the site, the Blogger's Choice Awards are the most popular user-generated blog voting site on the planet! So, if you have a moment to spare, and you are so inclined, would you consider voting for me, please? All the info is here. I started smoking the summer I was 30 years old. I was newly divorced and madly in love with an Englishman addicted to Marlboro Reds. Together we’d sit in outdoor cafes, intertwining our legs and I’d steal the cigarette from his lips. I felt glamorous surrounded by dissipating swirls of smoke and comforted by the potential of this exotic new persona. It took me a while to truly get the hang of it, but by the time I figured out how to inhale without coughing, my British boyfriend was gone. All that autumn, I languished around my apartment, still smoking, if only to take solace in the now familiar smell. But all I did in those few months alone was trade one addiction for another. The only person I ever hid my smoking habit from was my father. I was loath to disappoint him and I knew he would disapprove of my dependence. Whenever I visited him, I would buoy myself up with gum and candy and, over the course of a weekend stay, would slowly and agonizingly begin to withdraw. I wouldn’t light up again until I was safely out of his purview and my first puff was always a heady affair. It was as if my brain somehow came alive with each inhalation. My Dad lives way up in the Catskills and after one Father’s Day Sunday several years ago, I decided to stay overnight as I had a business meeting on Monday midway between his house upstate and mine in Manhattan. This, of course, substantially increased my craving, and by the time I left, I was jittery, cranky and impatient. I couldn’t get my fix fast enough and ended up chain-smoking through the entire journey to see my client. As I waited in the lobby for my colleagues to join me, I decided there was just enough time to have one more cigarette. As I made my way outside, my agitated, fired up brain played a trick on me. There were two sets of glass doors in the lobby, but only one set was opened. I thought the first set was opened facing out. But in reality, it was the second set of doors that were open, facing in. Because I didn’t realize that the first set was closed, I walked head first into the glass door, broke my nose and ended up in the hospital with twelve stitches. Both my face and my ego were bruised for weeks; and if that wasn’t sufficient, I felt sheepish and guilty about keeping the specifics of the accident a secret from my Dad. I often think back to that day and wonder how my brain could make a mistake like that. Why do we see what we see? 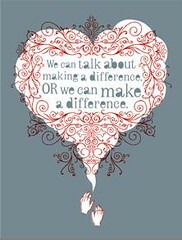 How do we see? Our lives center around the perception of what we see and process with our brains, and scientists have determined that our eyes receive and send over 10 million signals to our brains each second. But we can only consciously process about 40 of those signals per second! Our perceptions are actually made up of what we selectively choose to see. Harvard University professor John Stilgoe believes that people are so focused on a goal or zeroing in on what appears to be obvious that they miss what is right in front of them. Rather than not being able to see the forest for the trees, they are unable to see the trees for the forest. Stilgoe attributes this to the "constant blur of modern life." I recently gave up smoking and in the end, it was not nearly as gruesome as I thought it would be, though I still have a hard time jumpstarting my brain in the morning. Last week, as I was trying to get over a cold, I decided to take a bath instead of a shower before heading off to work. As I luxuriated in the bubbly hot water, I wondered why I didn’t bathe like this more often. It wasn’t until my walk to work that I realized that I never actually washed myself! I just lay there happily, lazily relaxing! Later, I laughingly recanted this story to my father. He chuckled and blamed my ailment on all my hard living. I paused because I didn’t understand what he meant. You know, hard living, he insisted. All that smoking and drinking! My jaw dropped as my eyes popped and I demanded to know how he knew. I recalled the efforts I went to in order to conceal it from him and I was incredulous. And then he told me this: The human brain is a mysterious and wondrous thing. Just because you don’t see something in front of you doesn’t mean that you don’t know that it’s there. 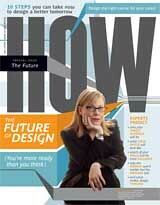 Joining me today on the 97th broadcast of Design Matters with Debbie Millman is Daniel H. Pink. Dan Pink is an entrepreneur, speaker and author of three grounding breaking books on the changing world of work. His latest, “The Adventures of Johnny Bunko: The Last Career Guide You’ll Ever Need,” is as entertaining as it is practical for anyone searching for career fulfillment. His previous books – “A Whole New Mind: Why Right-Brainers Will Rule the Future” and “Free Agent Nation: The Future of Working For Yourself,” have become a success manual for individuals seeking success and happiness in the 21st century. Dan’s frequent voice on business and technology and have been featured in the New York Times, Harvard Business Review, Fast Company, and Wired, where he is a contributing editor. Dan last held a real job in the White House, as chief speechwriter for Vice President Al Gore from 1995-1997. He received a BA, with honors, from Northwestern University and received a JD from Yale Law School. To his lasting joy, he has never practiced law. 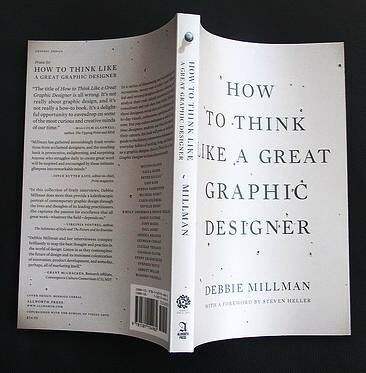 Joining me today on Design Matters with Debbie Millman is Dan Formosa. Daniel Formosa, Ph.D. is a consultant in product design and research. Dan’s education includes design, ergonomics and biomechanics. He has received numerous design awards and his work has been selected for national and international exhibits. Dan was a member of the design team that developed IBM’s first personal computer, OXO Good Grips kitchen tools and XM Satellite Radio. His work has been included in the permanent collection of the Museum of Modern Art. Dan recently worked with Ford to develop SmartGauge, an instrument cluster for Ford’s 2010 hybrid cars designed to influence driving behavior and save fuel – an innovation for the auto industry. Dan is a founding member of Smart Design in New York City. In addition to his design work he lectures worldwide on the physical, social and emotional aspects of design and innovation. Dan also recently co-authored and illustrated the book Baseball Field Guide, employing principles of information designed to explain the intricate, vague and confusing rules of Major League Baseball.